Our home is situated in a quiet lakeside suburb only 3 minutes walk to popular Wharewaka Bay (4 mile bay) and 10 minutes by car to the town centre. A single level home, it also has a great outdoor deck and garden area plus a spa pool to relax in. There is ample off-road parking. The Lion's Walk (lakeside walk and cycle path) is only minutes away so you can either go for a walk/run or use the bicycles that are provided. A paddle board is also available to use. Ideal holiday home suitable for families, couples and groups of friends. Private outdoor living spaces on easy care section. We live in Auckland and will handle all your reservation and booking enquiries. We have a Taupo local who will greet you and handle any property queries and local knowledge requirements that you may have. The Wharewaka neighborhood, sometimes known as 4 mile bay, includes a mixture of locals and holiday homes. It has a great beach, being the only north facing beach in Taupo, a young children’s playground and picnic and barbecue area. - High speed fibre and unlimited broadband is provided free of charge. - Sky TV Sports, Movies, Soho, News and Discovery channels available - excluding Pay-Per-View. - Netflix via Apple TV available using your own membership details for both. - Xbox1, Xbox360, Play Station 4 Pro and assorted games. -	No smoking allowed inside the house. -	No parties or events allowed. -	No vehicles to be parked inside the garage. -	Boat and water-sport equipment stored in the garage is unavailable for use (except for the paddle board). -	Please respect the quiet neighbourhood in regards to noise levels. - The fireplace is not to be used. Instead heat pumps have been provided for your use. -	No shoes to be worn in the House. Really fantastic house. Very nicely furnished. Everything provided. Highly recommended. As above, although could do with summer blanket and extra coffee cups, otherwise fantastic. So much provided and good location. Absolute perfect house with all of the bells and whistles you need to make a holiday more adventurous. Beautiful home, so organised and the perfect location!!! Hopefully we will be back again!! Fantastic property with absolutely every detail taken car of! Fantastic stay away with our family. This home worked perfectly for all of our family from 4months old to 75. Beautifully laid out and presented home, super comfortable and spacious. Has everything you need for a terrific stay. We plan to go back again! Friendly guest who communicates well. Would welcome back anytime and recommend to other Hosts. A delightful property. Clean, tidy, well appointed with everything you need to make your stay an enjoyable one. Needed to stay longer to enjoy all that the house has to offer! Was impressed with the quality of chattels and thoughtfulness even down to a hair dryer, hair straightener and tissues. A memorable stay with my family. Wouldn't hesitate to use again and have already recommended to others. Thank you, Rick, Megan and Jo. The home is very lovely and homely . 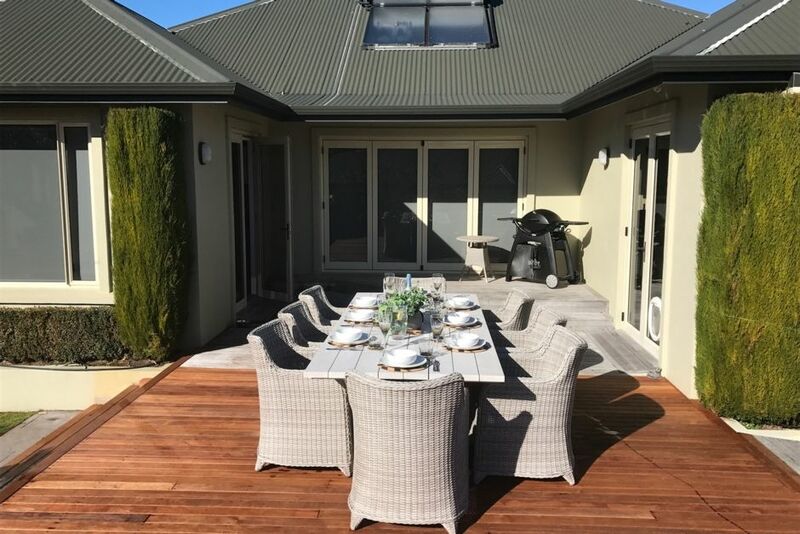 The home is very lovely and homely .suited my whanau had everything you can think of and more the location perfect .thank you Fala whanau for having my whanau in your beautiful home . Fantastic family house. The games room was awesome!